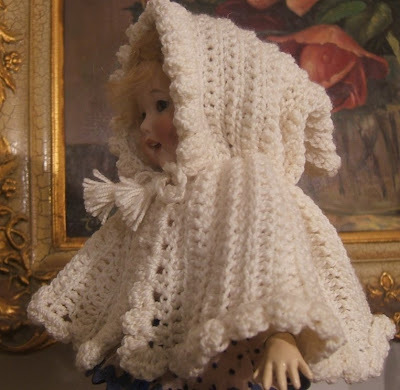 I just love this crocheted cape for Bleuette. I used Agnes's translation from Bleuette's World Winter 2007/2008 Vol. 9, Number 4. The LSDS pattern is No. 44, 1905. Maggie is wearing an off white cape in Koigu wool. 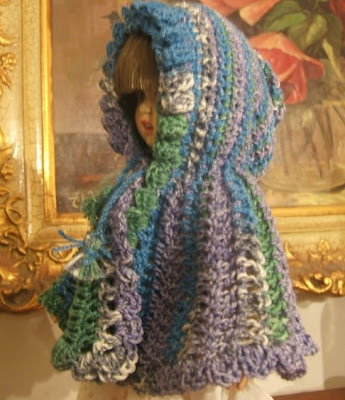 The crochet stitch framing Maggie's face is called a ball fringe stitch. I think this adds so much to the pattern. 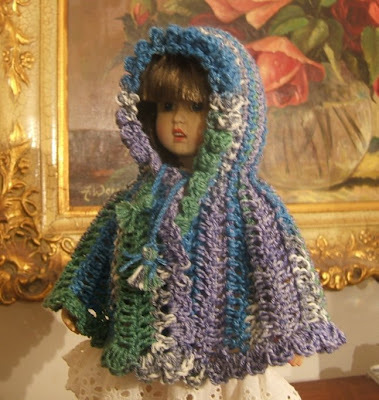 The cape below is made from sock yarn! I wasn't sure how the striping would turn out, but it seems to pool nicely. 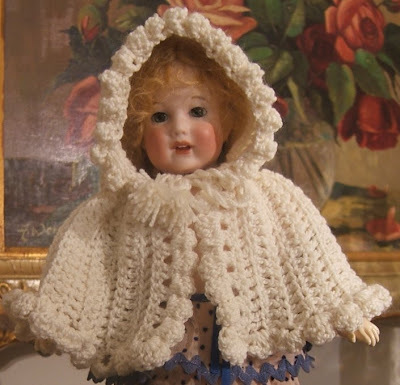 Bobbette is wearing this cape with such a nice wool.